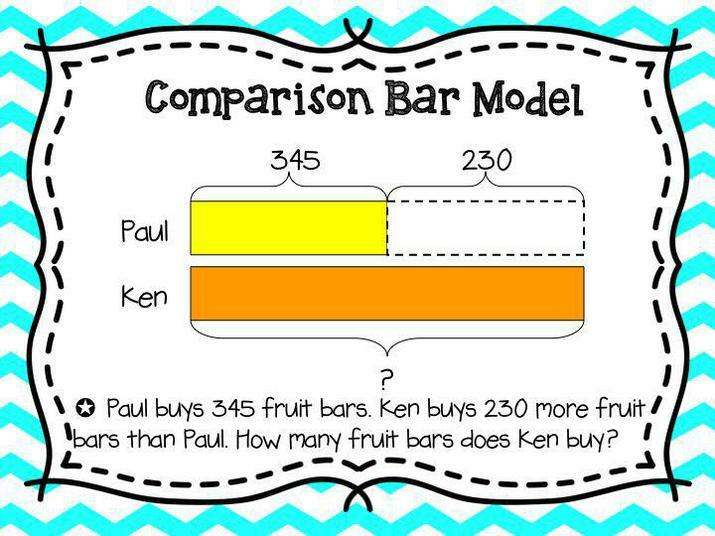 Bar modelling is a strategy used by children to visualise mathematical concepts and solve problems. 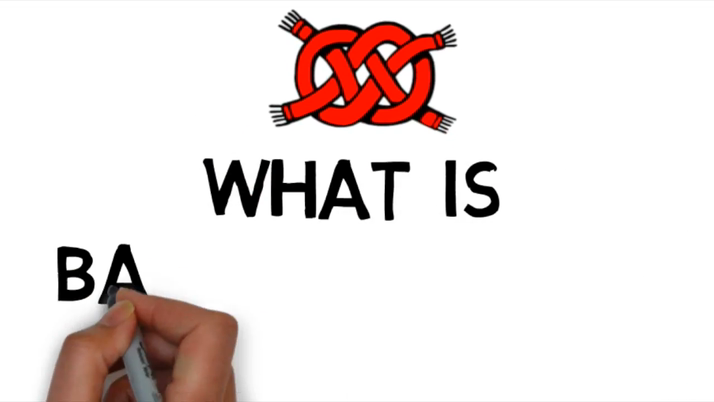 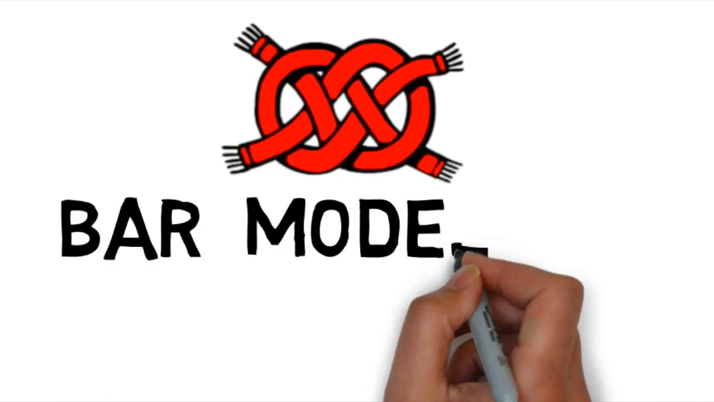 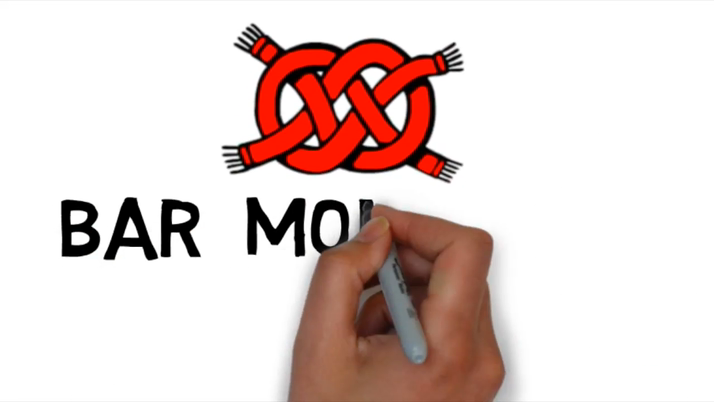 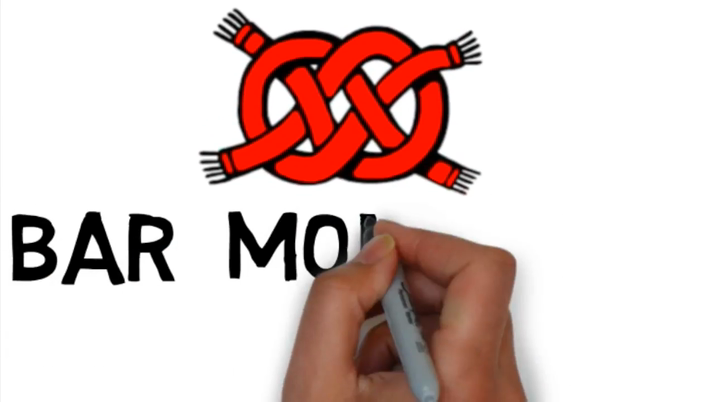 The bar model method is pictorial – children draw bars to represent objects or quantities. 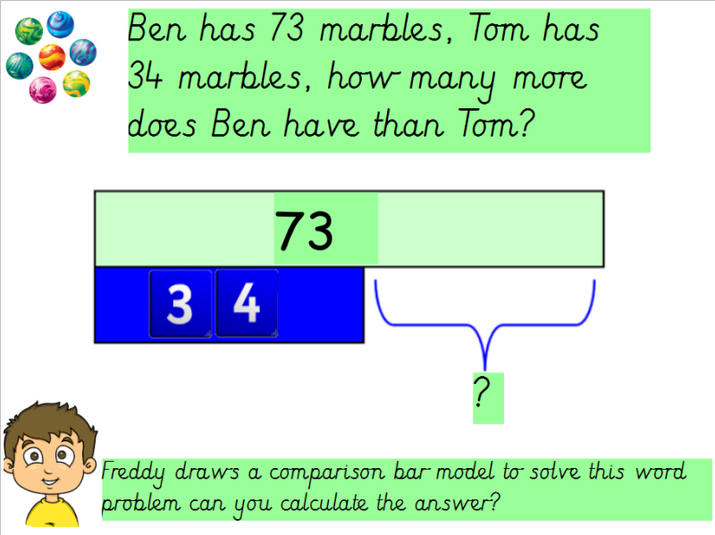 As pupils develop an understanding of this method, they will be able to draw bars that are increasingly proportional; for example, a bar representing 20 cookies will be twice as long as a bar representing 10 cookies. 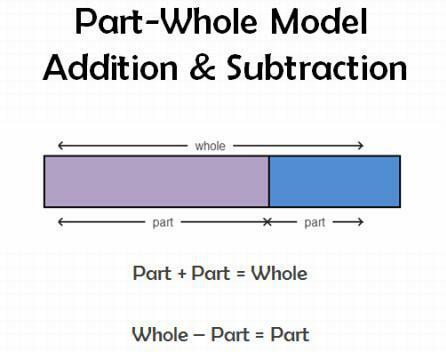 The particular power of the bar modelling pictorial approach is that it is applicable across a large number of topics. 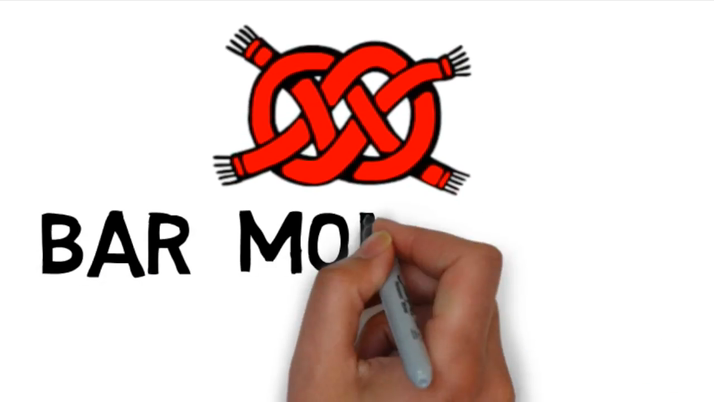 Once children have the basics of the approach secured, they can easily extend it across many areas. 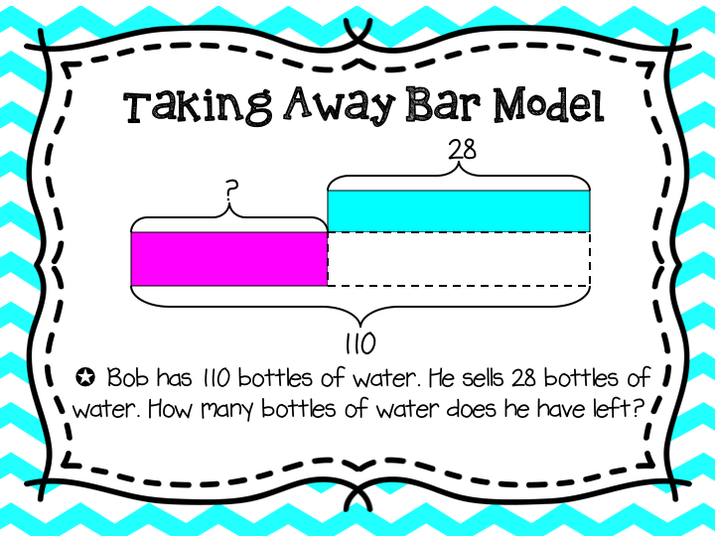 It should be noted that children need to have strategies to add, subtract, multiply and divide for them to use bar models. 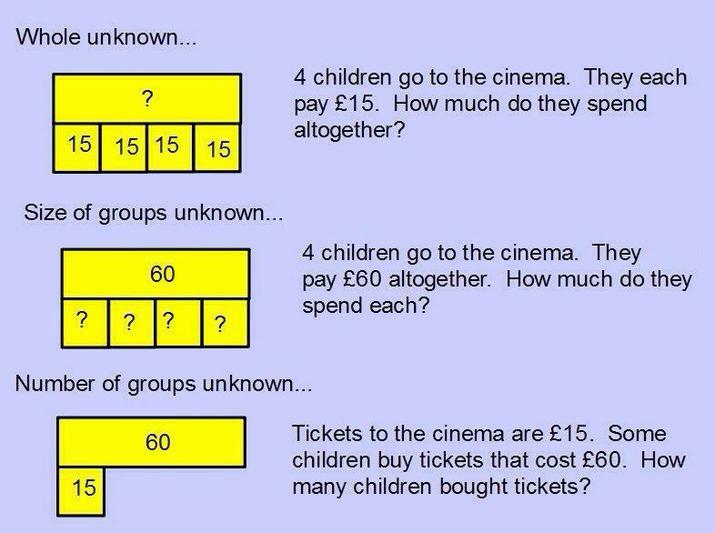 Bar models don’t give a child an answer – they give them an understanding of what to do to get to the answer.